The Sony Ericsson XPERIA X10 comes with a 1GHz Snapdragon processor, 4-inch scratch-resistant touchscreen, 8.1-megapixel autofocus camera, WiFi, Bluetooth, and GPS, it will also come with variety of imaging features including intelligent face recognition, image stabilization, touch focus, geotagging and smile detection, a WebKit web browser, 3.5mm jack, and 1GB phone memory with a 8GB microSD memory card. 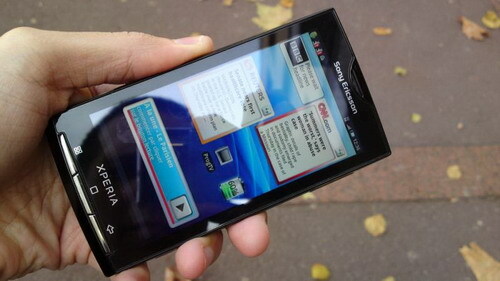 The XPERIA X10 does lack a flash though and only runs on Google's Android 1.6 OS. 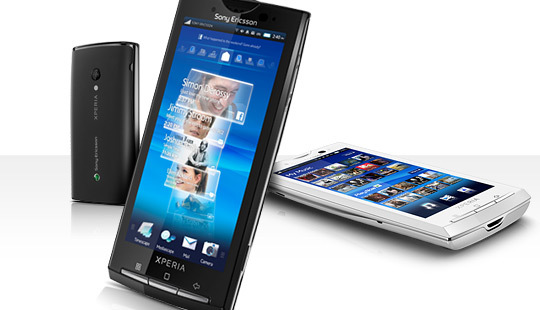 The Xperia X10 measures 4.7 by 2.5 by 0.5 inches (HWD) and weighs 4.8 ounces.